Founded due to the tin mining Industry, but now a coastal resort, St. Agnes' dual character is reflected in its history and fine architecture. Miners' cottages, picturesque engine houses, the lost harbours of Trevaunance Cove and the old market standings of Churchtown all add to this beautiful Cornish town. There have been valiant efforts to build a harbour at Trevaunance Cove since 1632, but each attempt was met with failure. The tin found here was so good though, that the consecutive builders were not put off. Finally, in 1798, a harbour was built that lasted, but even this was swept away in storms during 1916. Now the cove is used only by fishermen. St. Agnes is a friendly retreat, with a strong sense of history and a great love of home. 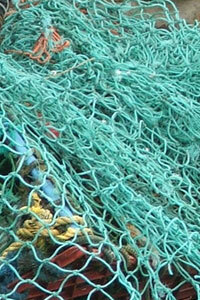 Today's businesses, shops and hotels, fishing boats and village events all maintain continuity with the past. It is situated close to the main A30, making it a convenient base for sightseeing around all of Cornwall. The town itself is wonderful to see, so full of character. 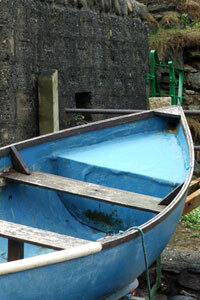 Make sure you see the Stippy Stappy sea captain's cottages and have a look at the many old tin mine engine houses. Arts and crafts are in abundance here and down the hill to Trevaunance Cove. Porthtowan is a small village, situated about 3 miles down the coast from St. Agnes. There are good places to eat, and the locals are very friendly to visitors. There is a large caravan and camping park, or alternatively holiday flats, hotels and inns also provide good accommodation in Porthtowan. Accommodation in St. Agnes is well established and benefits from the wonderful location. Whether planning to go camping or stay in four brick walls, there are hotels, campsites and guest houses. Some apartments are available as well. There is a variety of leisure activities to keep you busy during your visit. Entertainment in, St. Agnes consists of beautiful scenic walks, and being next to the sea there are so many water activities available too, such as, snorkeling, surfing and bodyboarding. The cliff walks offer a wonderful route of discovery through mine ruins, valleys, woodland and beaches; there is an amazing unspoiled landscape just waiting for you to explore. From St. Agnes, the Coast Path heads west toward Porthtowan or east toward Perranporth. The path from Trevaunance Cove to Porthtowan is another breath-taking walk that takes approximately 2 hours, but is well worth the effort. The surrounding area also hosts a variety of other sports. The nearest golf course is not far away in scenic Perranporth, and stunning scenic flights can be taken from Trevellas airfield in St. Agnes, itself. Another activity worth making sure you take part in is the St. Agnes surfing school and the nearby Mount Hawke skate park. As already mentioned, there are lots of options for eating out in St. Agnes. The Driftwood Spars Hotel has excellent food and live music. There are many other places to eat and drink, to suit all tastes, from cafes and restaurants to tea rooms and a meadery. Plus a bistro on the beach! The town has somehow escaped the ruining effect of tourism, and remains, on the whole, untouched. This does mean that its amenities and shops in St. Agnes are more basic, but in my eyes that is part of what makes the town special. Shopping in St. Agnes is rewarding, there are a variety of independent shops in the town centre, including a fresh fish shop and lots of cafes and restaurants. Craft shops and studios are in good supply too. 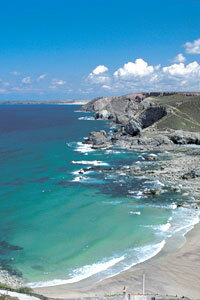 St. Agnes is made up mainly of four beaches; Trevellas Porth, Trevaunance Cove, Chapel Porth, and Porthtowan. These magical beaches, are perfect for scenic, cliff walks towards Perranporth, or inland along the picturesque Jercho Valley. Other popular highlights here are activities such as fishing, surfing or snorkeling. You will probably have heard of St. Agnes through the Surfers Against Sewage organisation annual ball, held here each September. But there is more to the town's surfing tradition. The S.A.S. was actually formed here, and St. Agnes was one of the first to set up a surf lifesaving club. Trevaunance Cove is sheltered and works well with SW winds. For most of the year it can only be surfed at mid to low tide, but even when most of the North Coast is unsurfable, it can hold large swells. It is a popular choice for families. There is plenty to keep the kids entertained, with the old harbour and a labyrinth of caves to explore, and at low tide there is the opportunity to walk to the neighbouring beach, Trevellas Porth . Plenty of parking is available at the cove, and also a place to get hot and cold snacks right next to the beach, making it both practical and convenient. There is also the famous Driftwood Spars Hotel, only moments from the sands. Chapel Porth is renowned for great surf, and when the conditions are right, produces some of the best waves in Cornwall. For those traveling by car, there is good parking in the National Trust car park at the beach, as well as more spaces in the car park at the top of the hill, above the cove. A fantastic cafe overlooks Chapel Porth, offering a range of refreshments. A Lifeguard service operates daily from May to September. Porthtowan, one of the UK's top surfing beaches, is bordered by beautiful soft white sand and rolling dunes. Offshore wind is SE, and it has good protection from winds. It can get busy though. For visitors, there is a large car park close to the beach and a number of shops, cafes and bars. The Blue Bar is one of the most popular with both visitors and locals, situated on the very edge of the beach. Using bus routes, St. Agnes and Porthtowan are easily accessible.